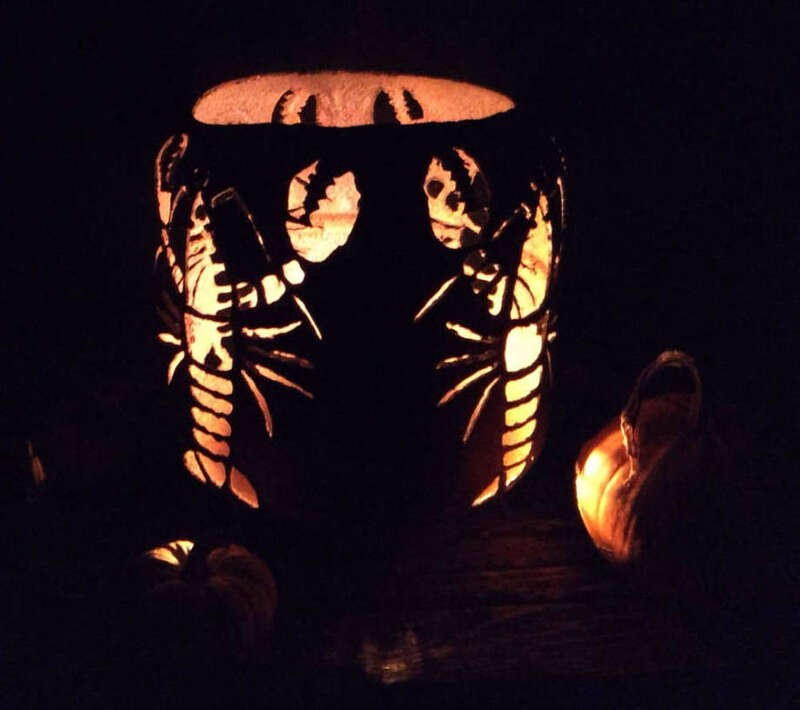 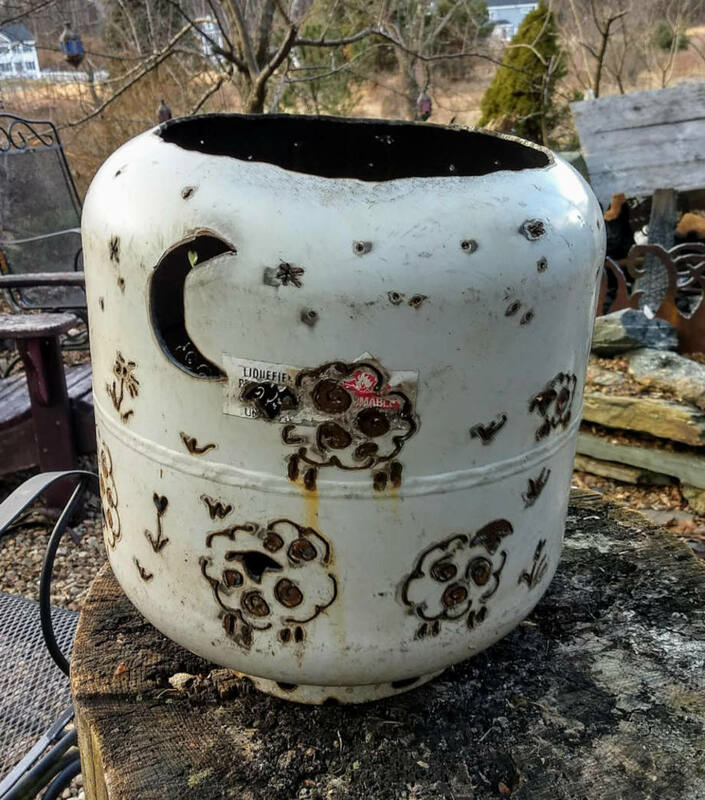 Lobstah design hand-cut into propane tank to be used as a firepot. 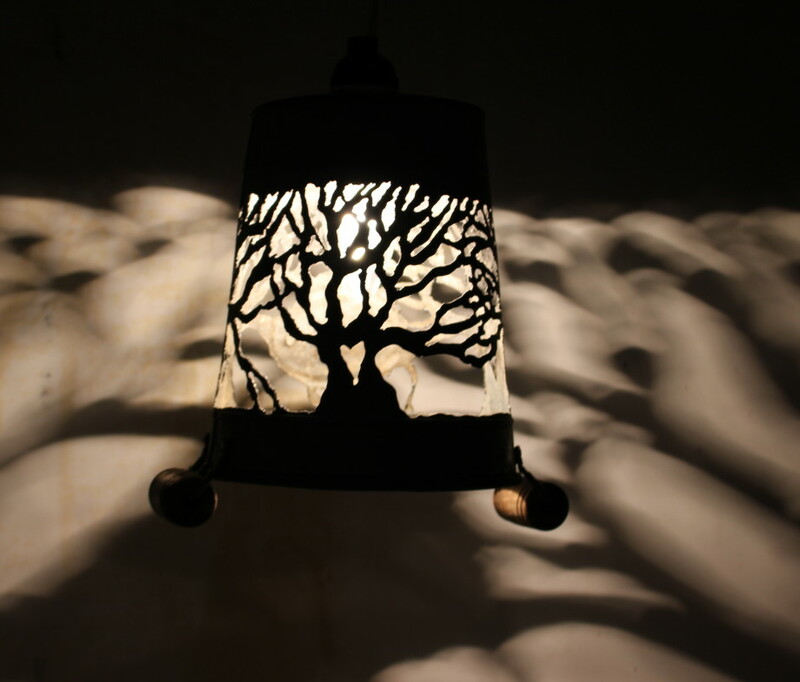 Tree design hand-cut into a galvanized steel bucket and converted into a lampshade. 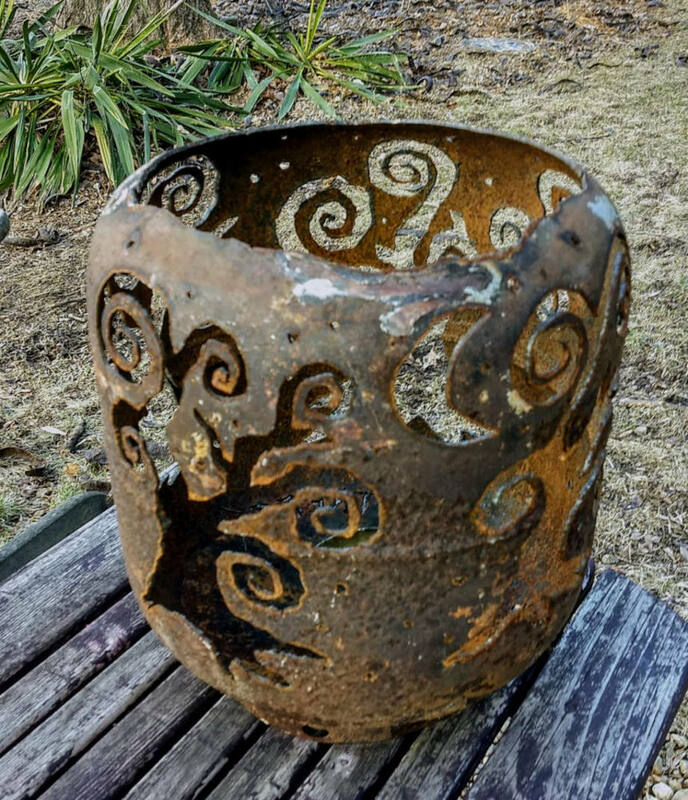 Wide end of bucket is approximately 14" diameter. 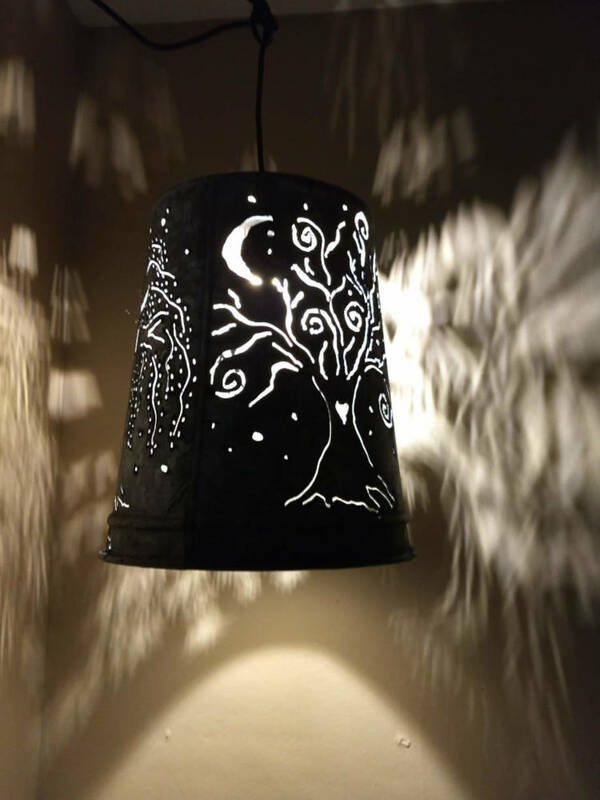 Comes with hanging light cord with switch. 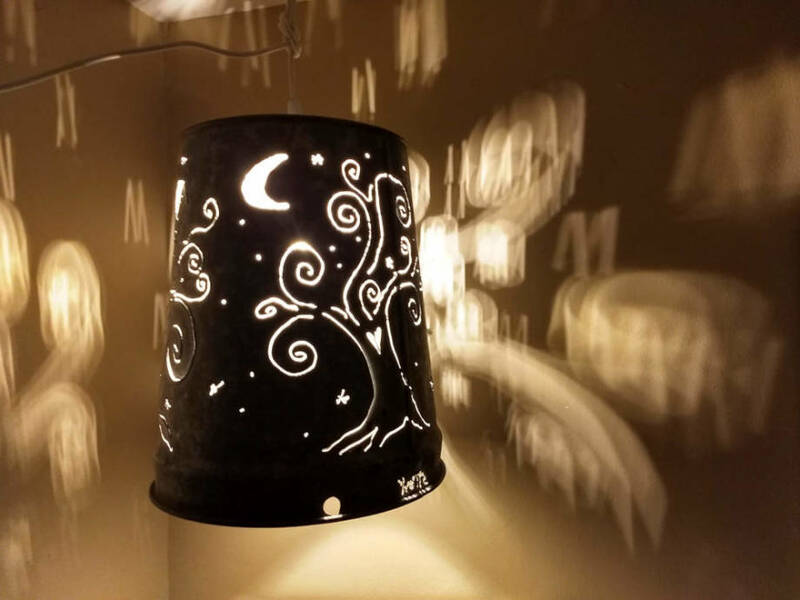 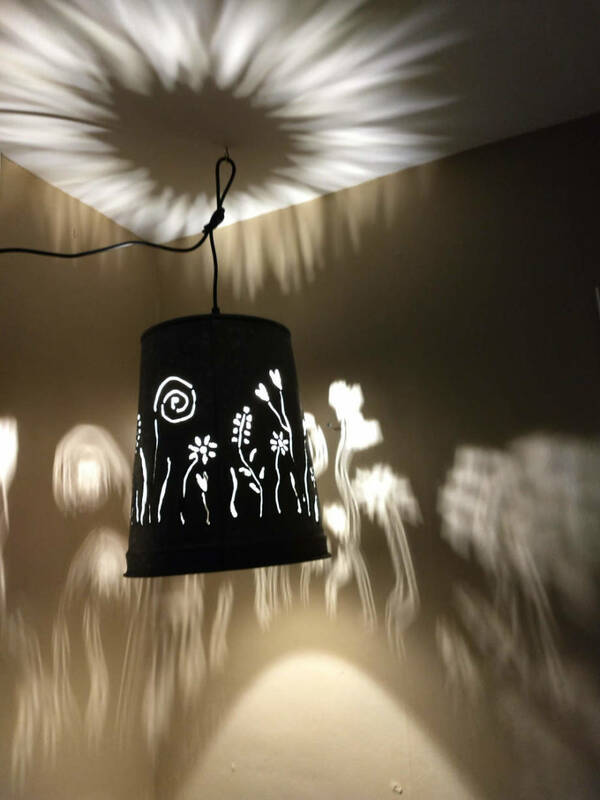 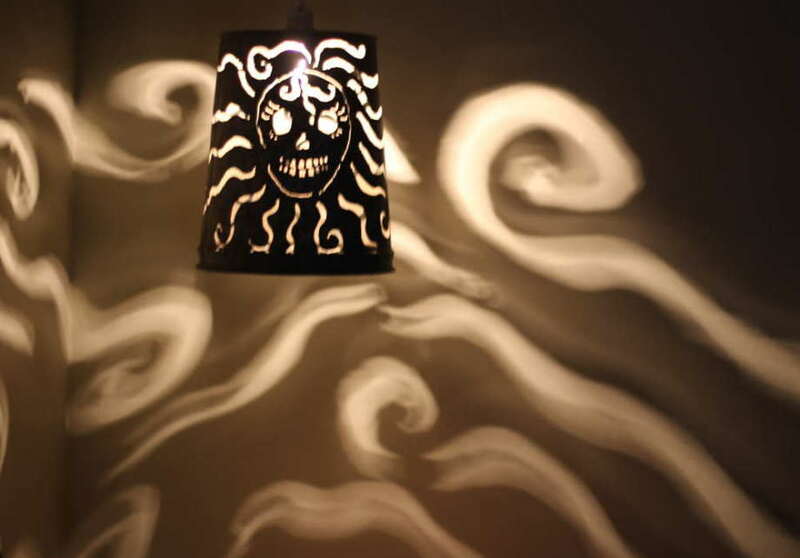 Spiral trees design hand cut into a galvanized steel bucket with a plasma cutter, and then converted into a lampshade. 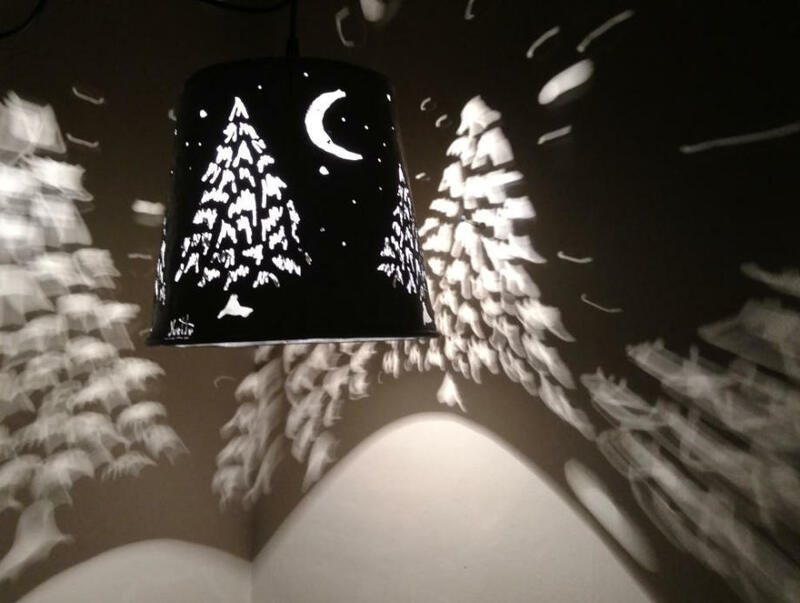 Comes with a 10' hanging light cord with switch. 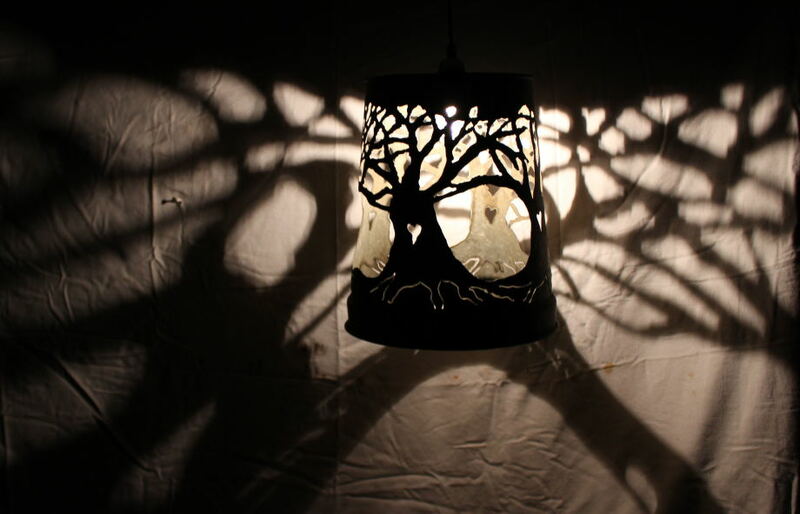 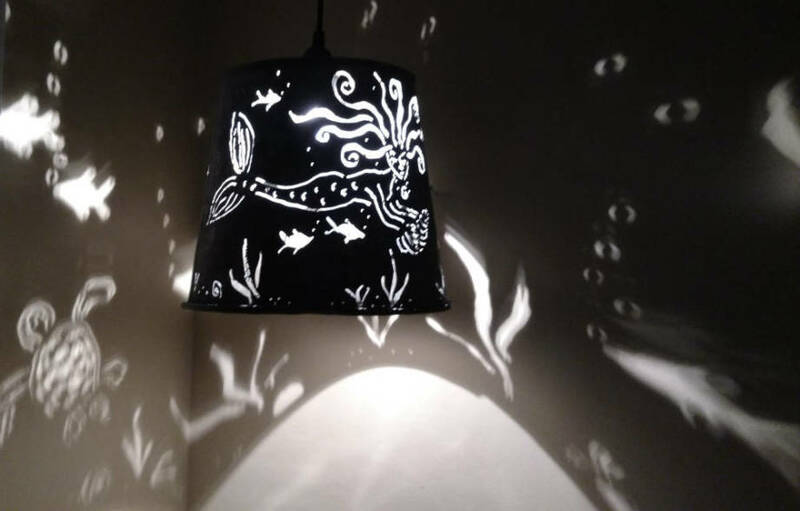 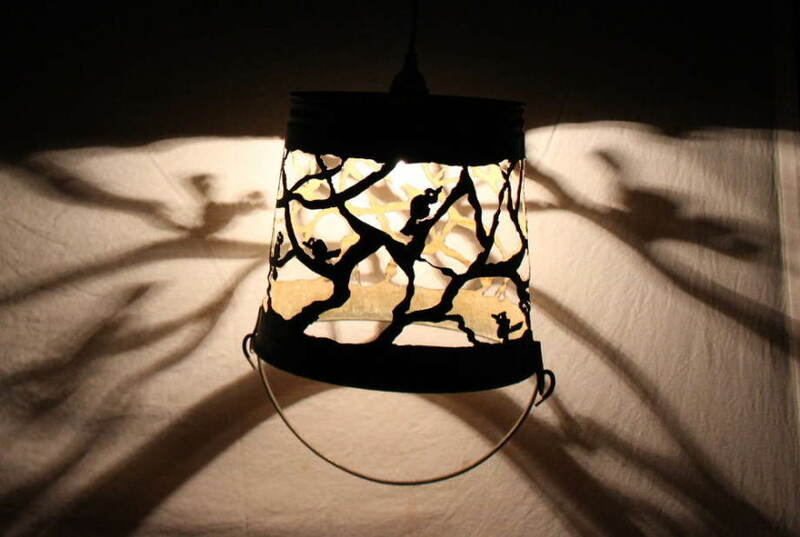 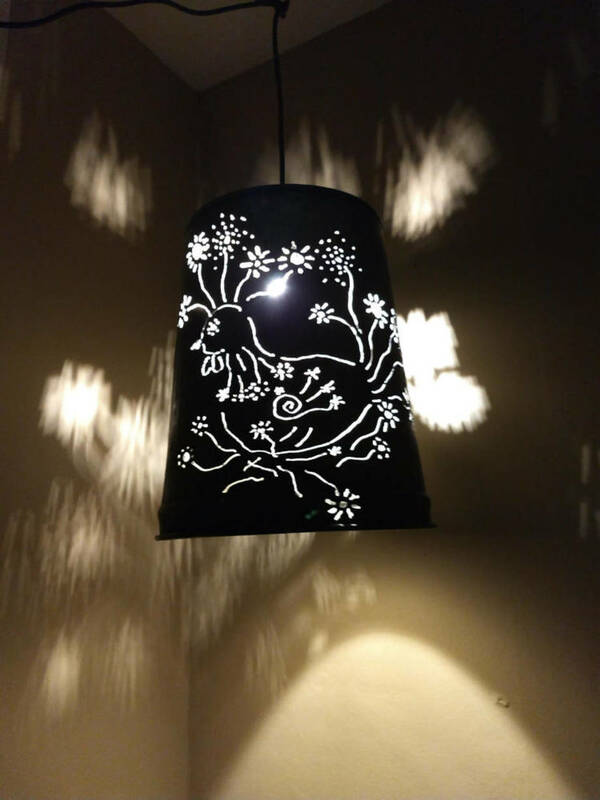 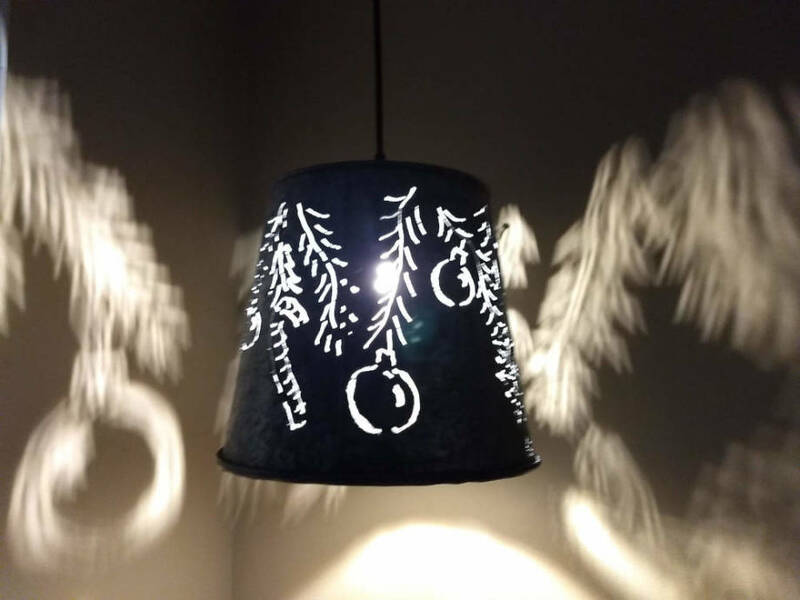 Birds on branches design hand-cut into a galvanized steel bucket and converted into a lampshade. 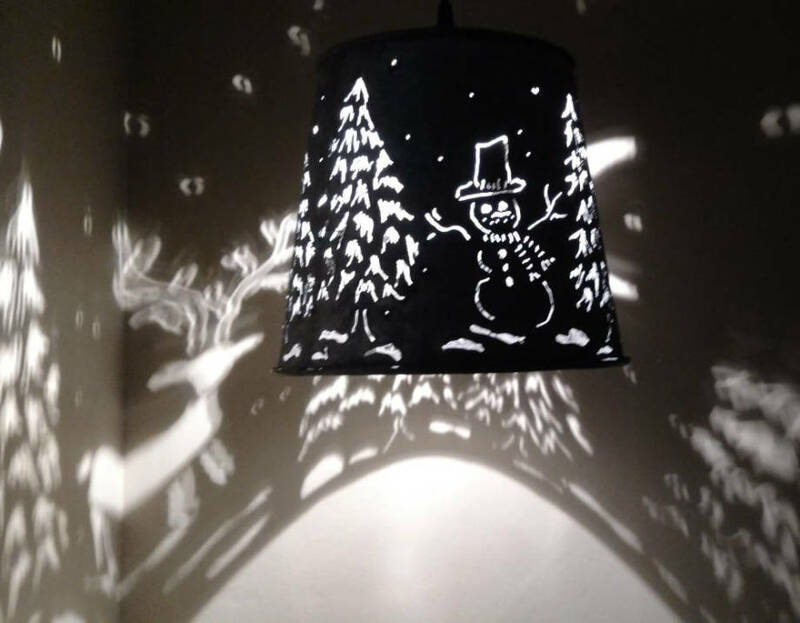 Comes with a 10' hanging light cord with switch. 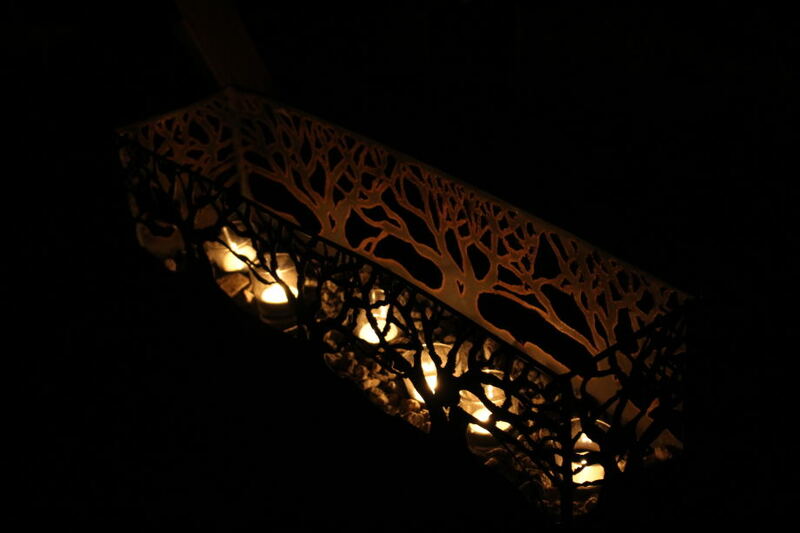 Tree design hand-cut with a plasma cutter in a copper box. 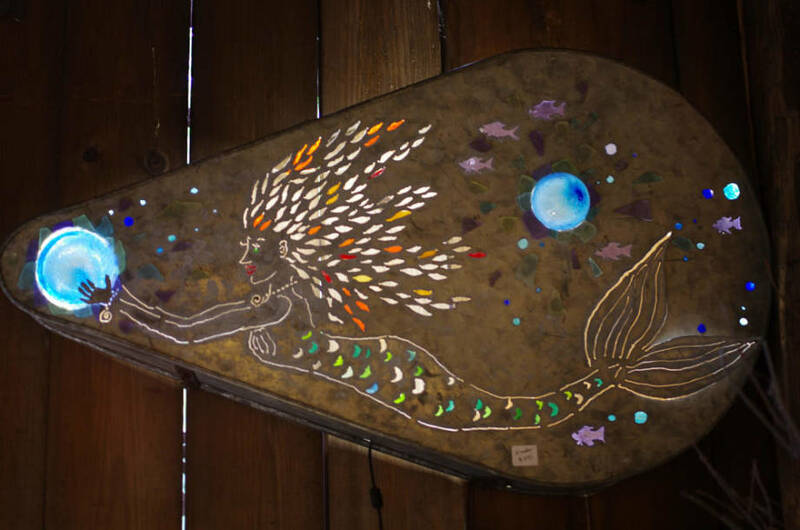 Measues approximately 24 x 8 x 10 inches. 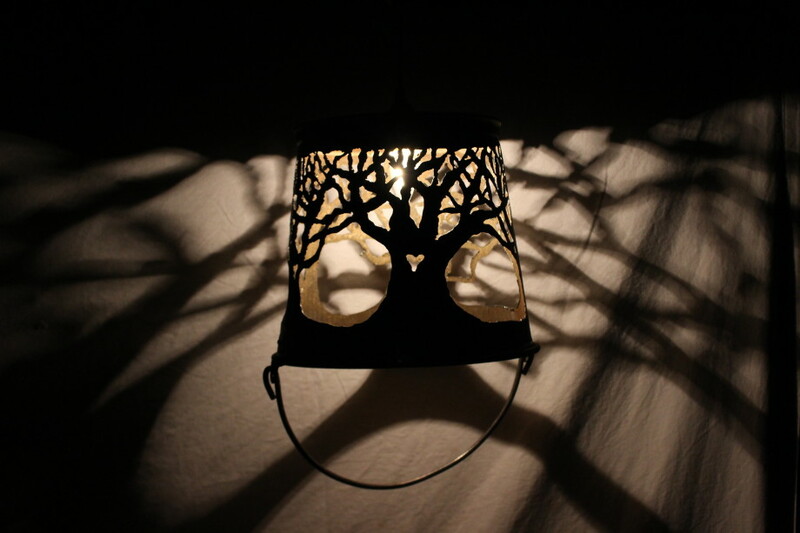 Three trees design hand-cut with a plasma cutter in a galvanized steel maple sap bucket. 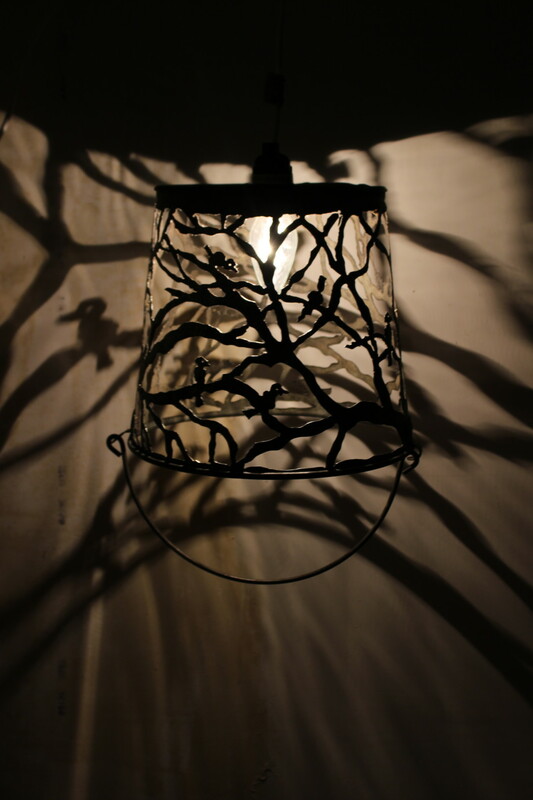 Lamp cord added to create a hanging lamp. 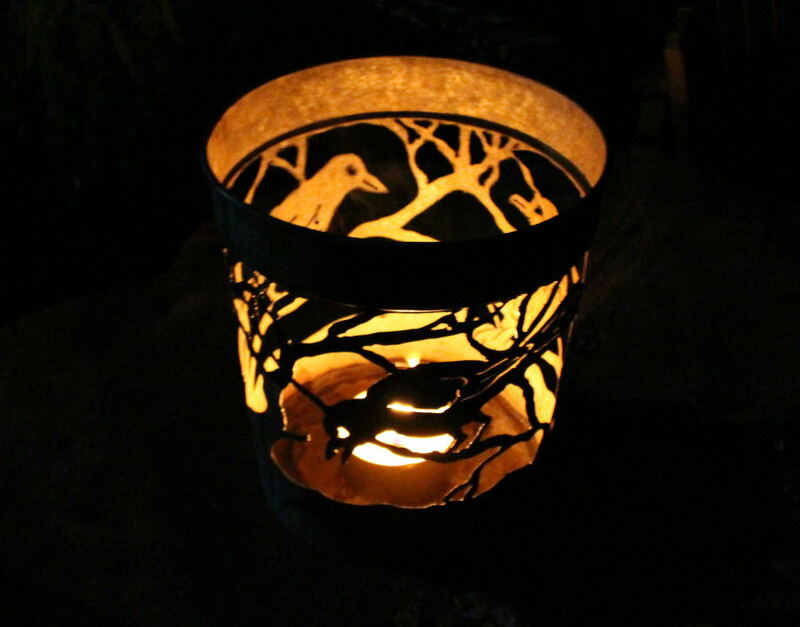 Three crows in branches hand cut with a plasma cutter in a galvanized metal bucket. 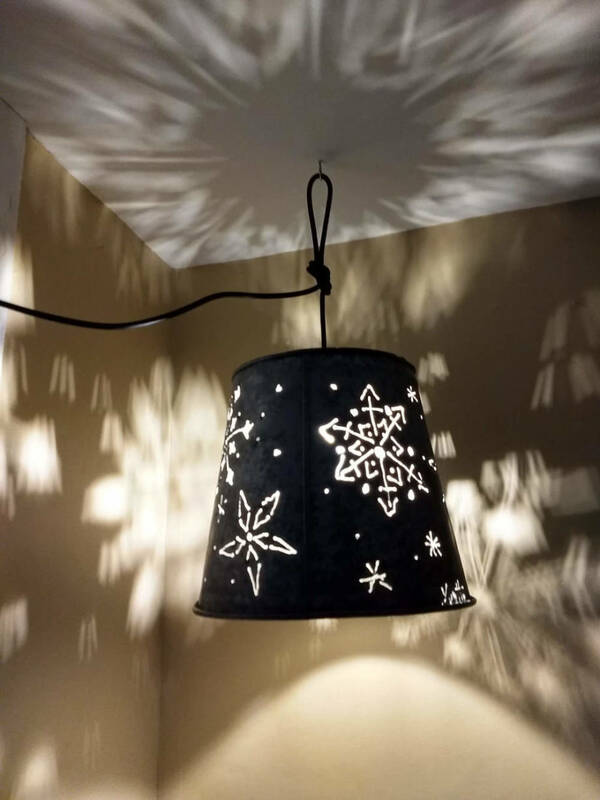 Measures approximately 14 inches high and 14 inches diameter. 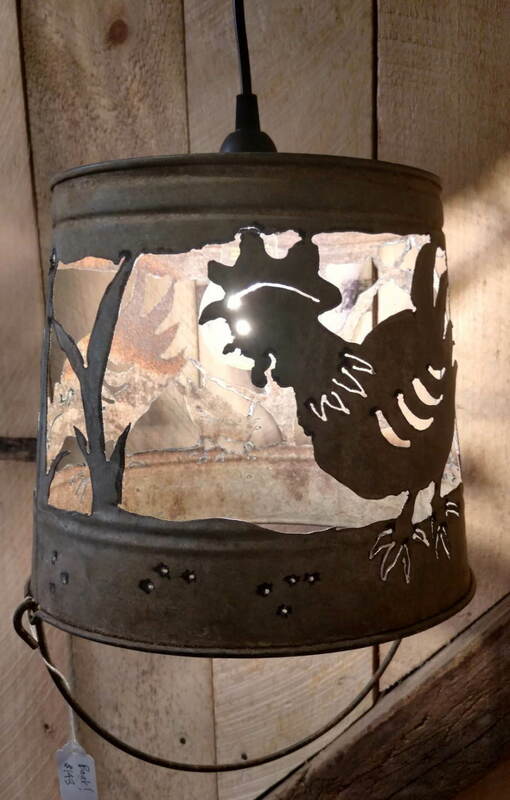 Hand-cut design in a galvanized pail. 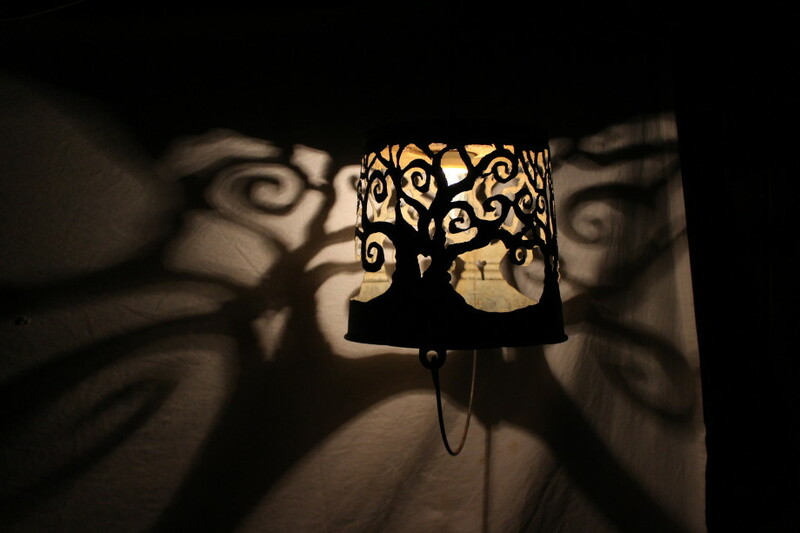 Hand-cut tree design in a galvanized container. 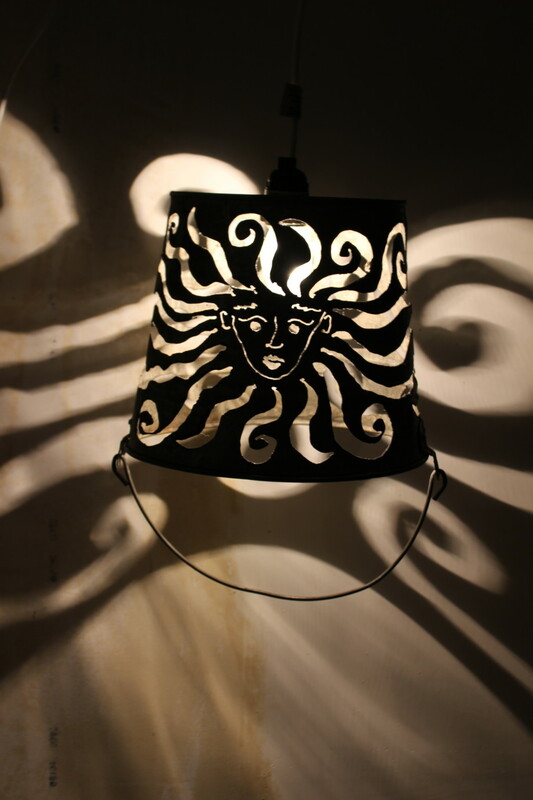 Approximately 7 inches diameter. 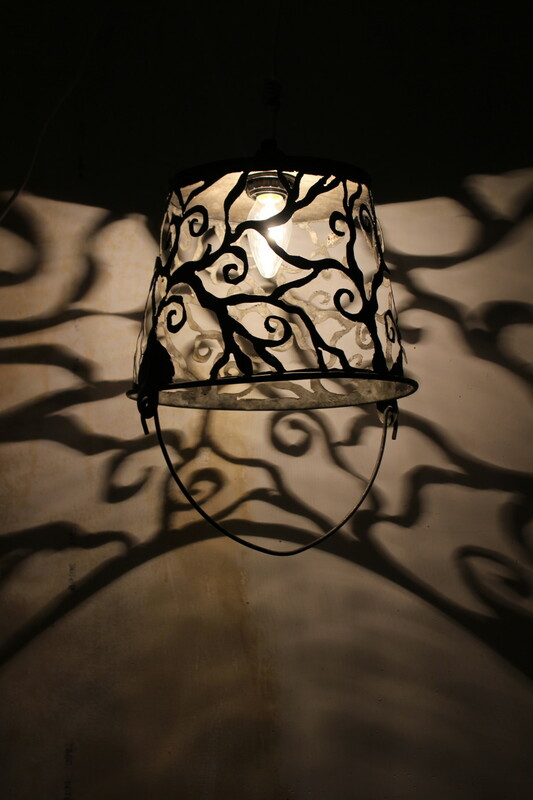 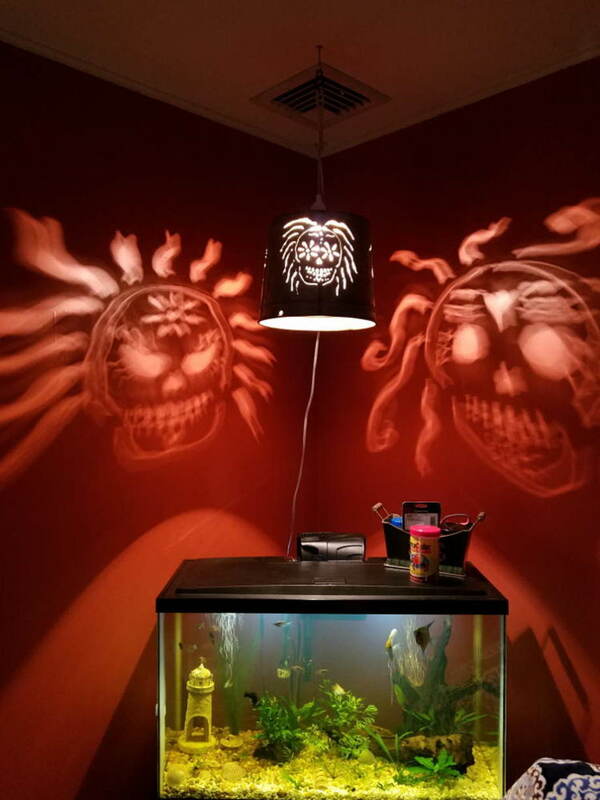 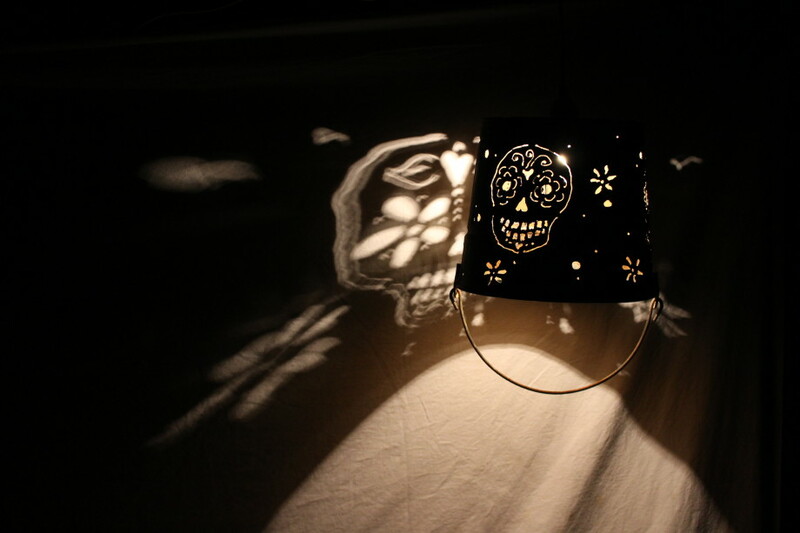 Hand-cut design in a galvanized bucket with light socket. 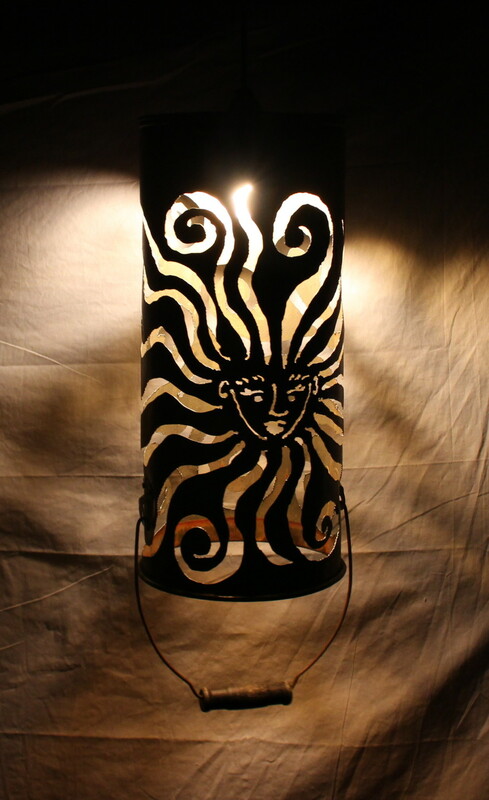 Goddess design, hand-cut with a plasma cutter in a recycled metal (unknown) pail. 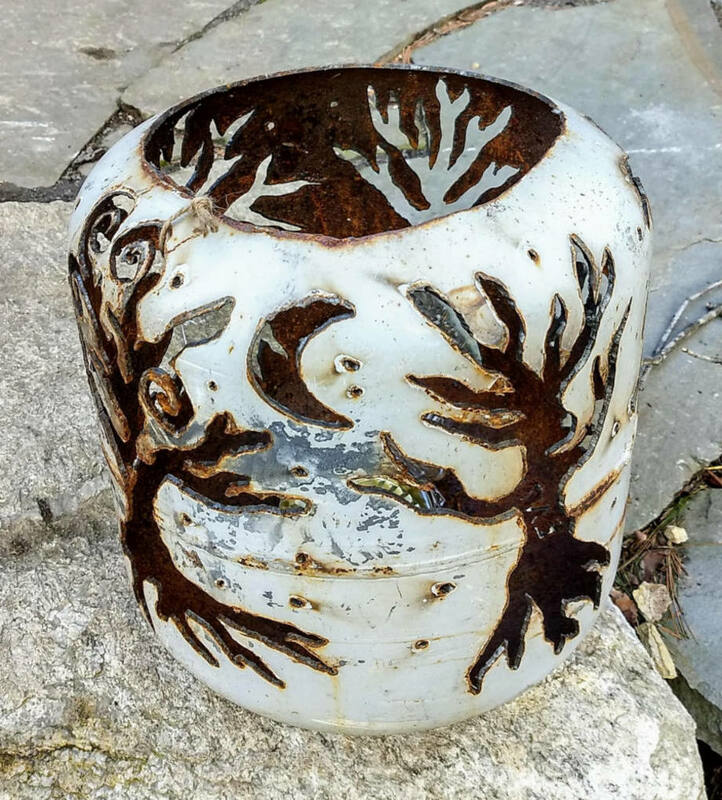 8.5 inches diameter, 19 inches deep. 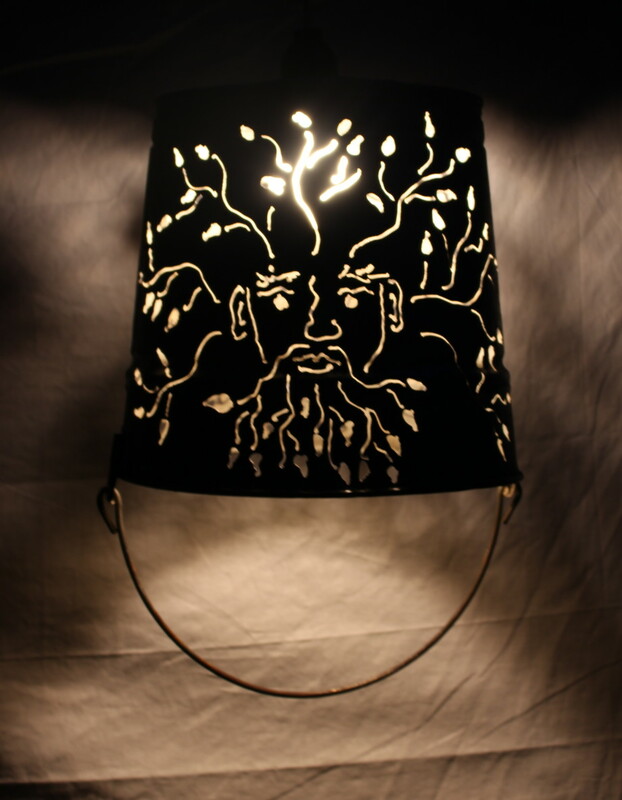 Green man and lady (on reverse side, not shown) design, hand-cut with a plasma cutter in a recycled galvanized steel pail. 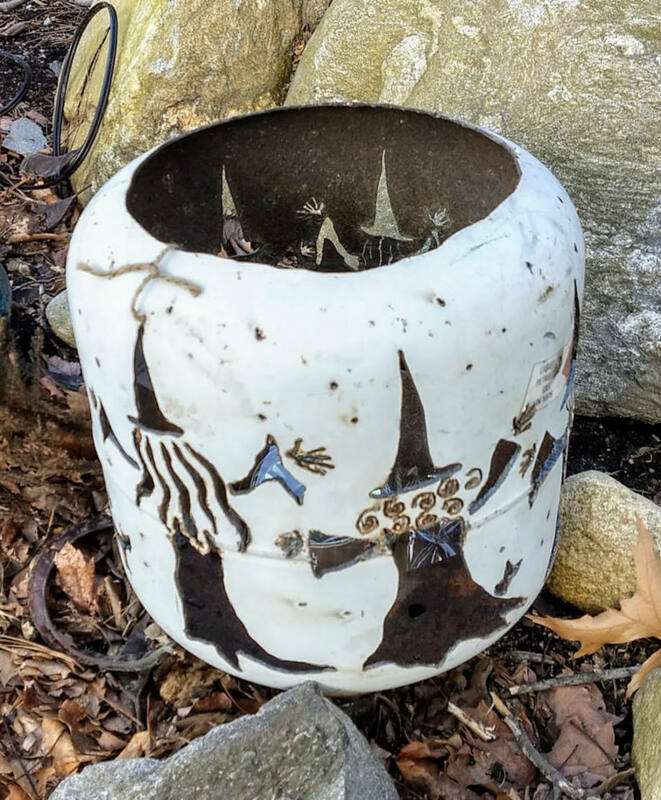 9 inches diameter, 10 inches deep. 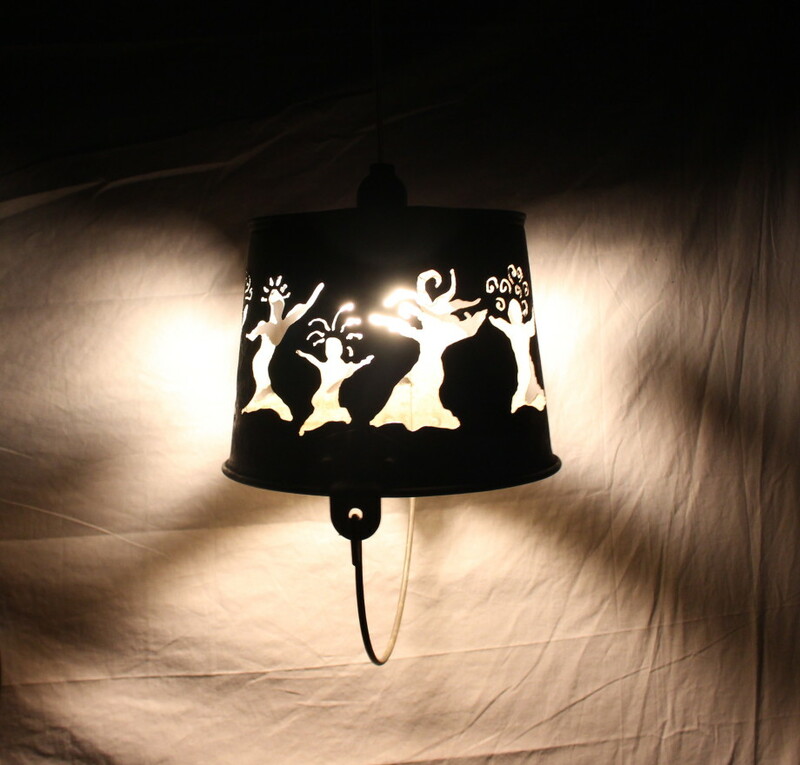 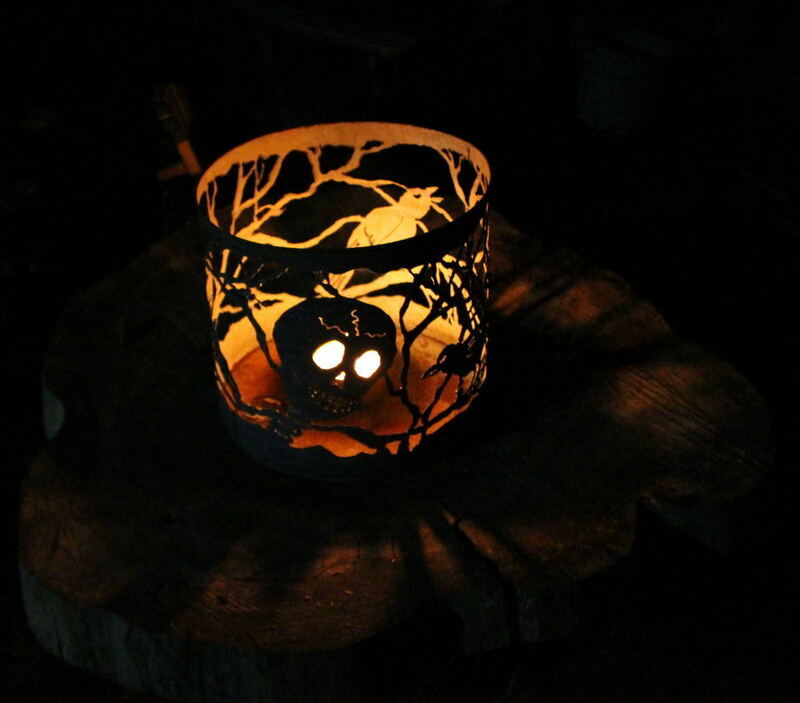 Maiden-Mother-Crone design, hand-cut with a plasma cutter in a recycled galvanized steel pail. 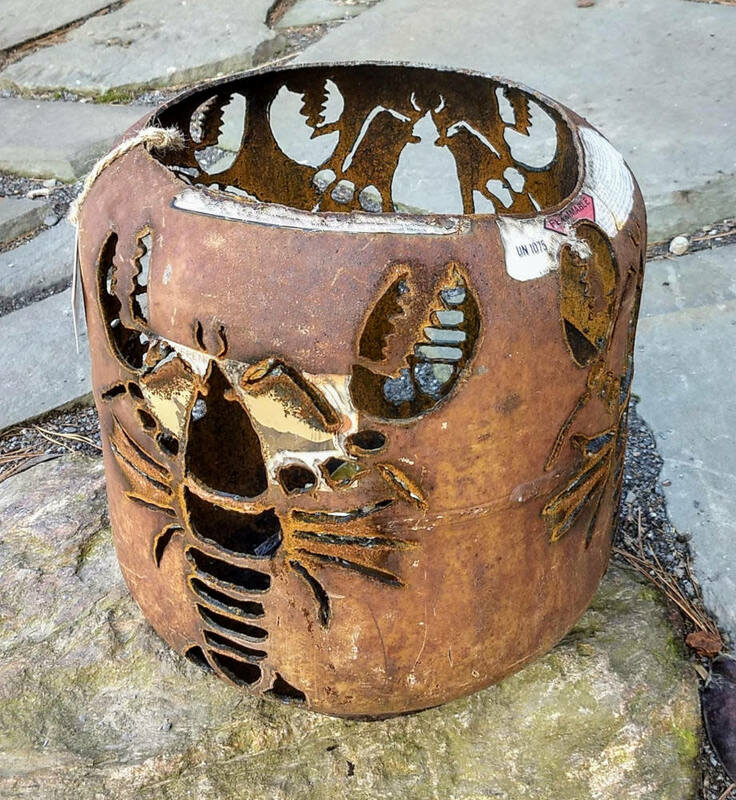 8 inches diameter, 9 inches deep. 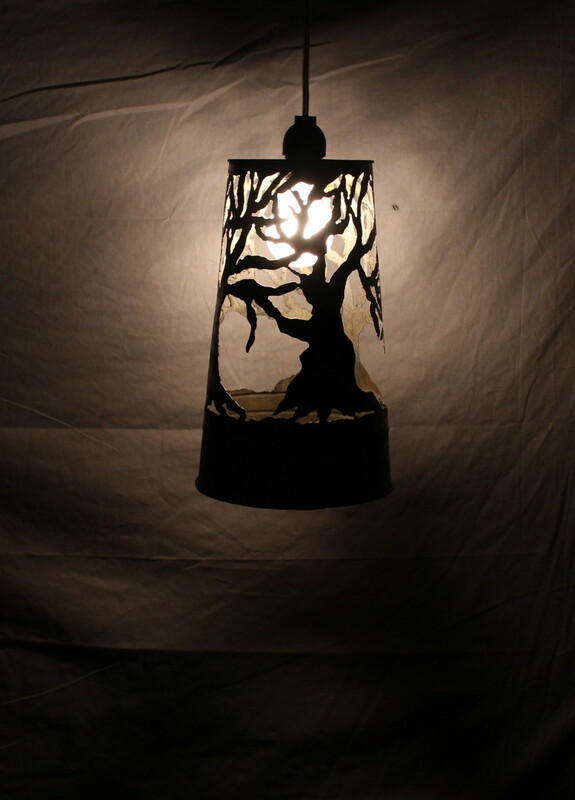 Three tree design, hand-cut with a plasma cutter in a recycled galvanized steel container. 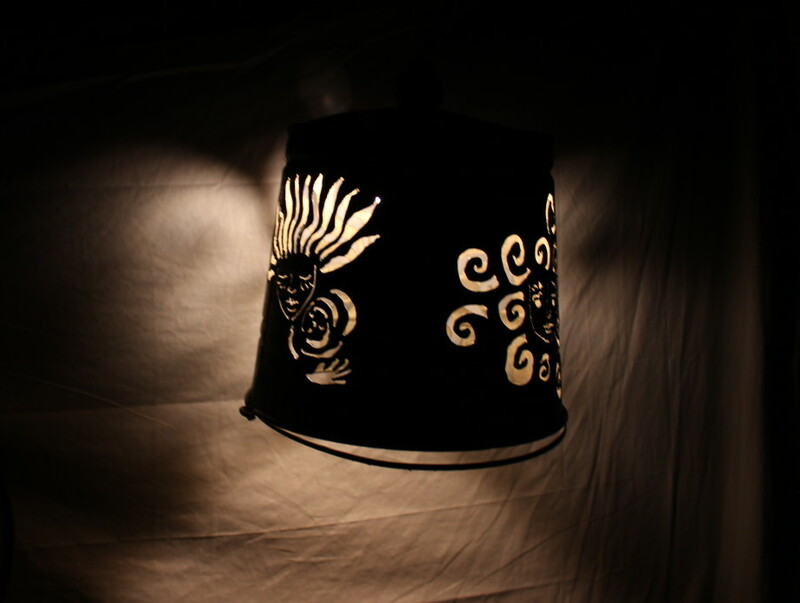 8.5 inches diameter, 16 inches deep. 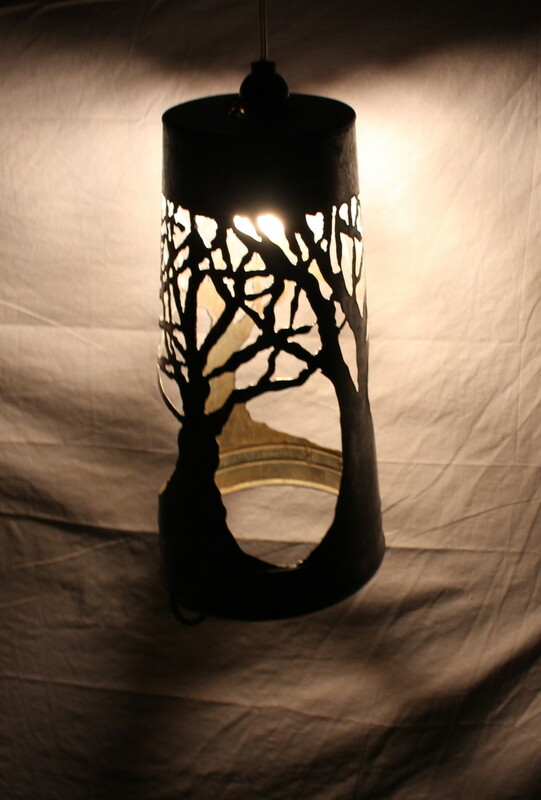 Three tree design, hand-cut with a plasma cutter in a recycled galvanized steel container. 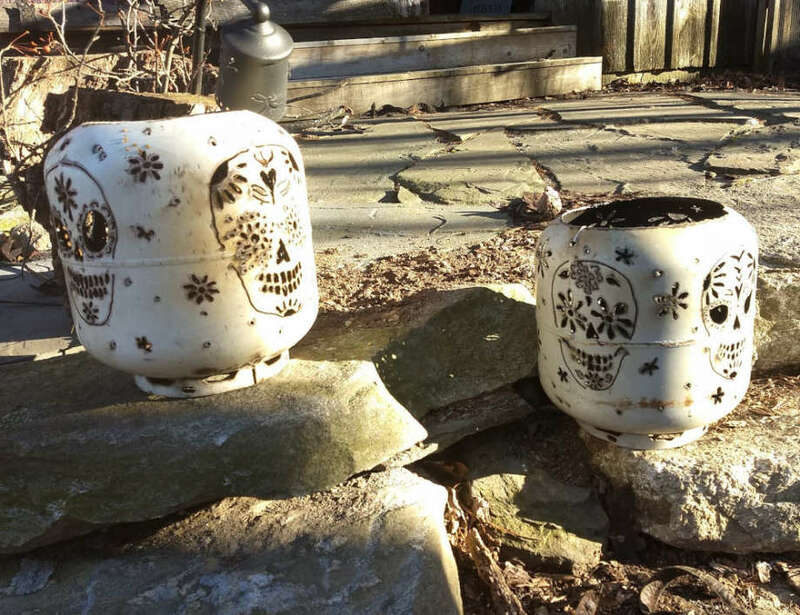 7 inches diameter, 12 inches deep. 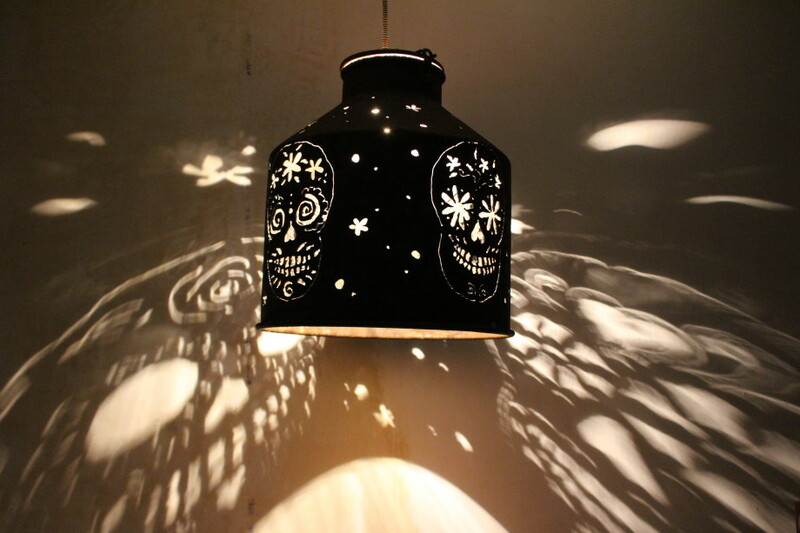 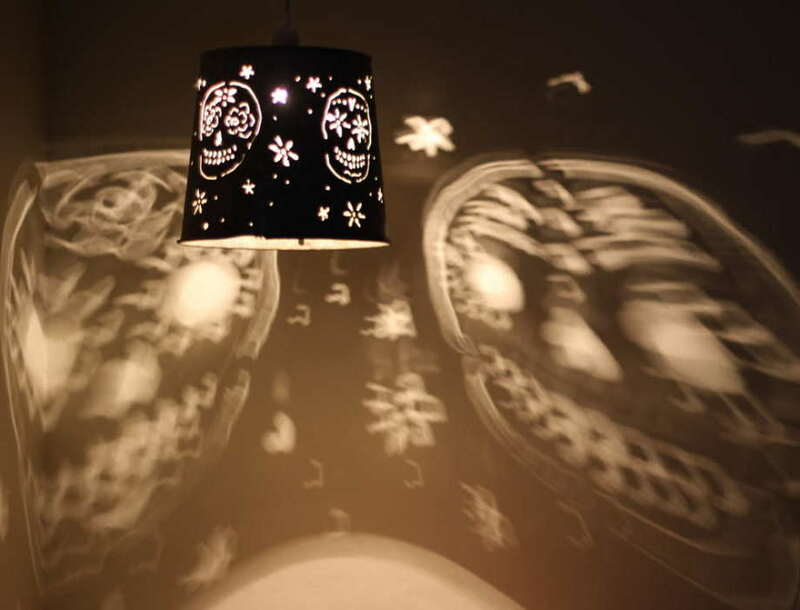 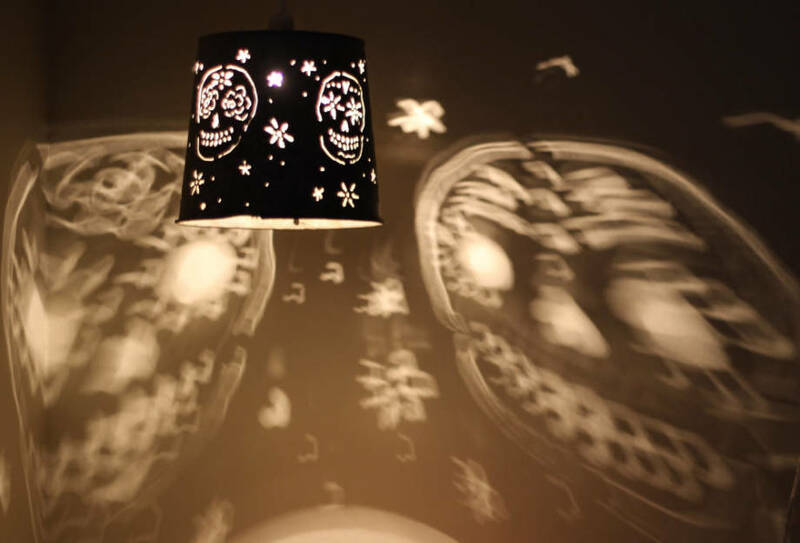 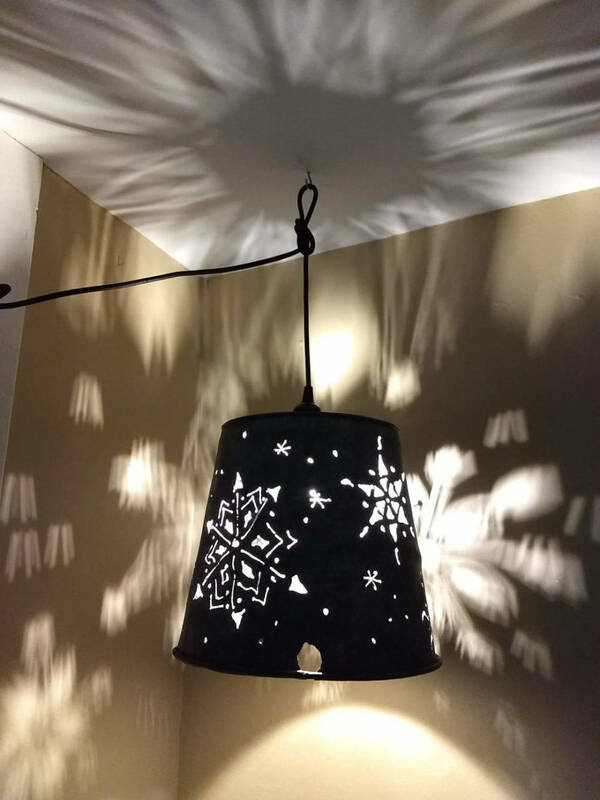 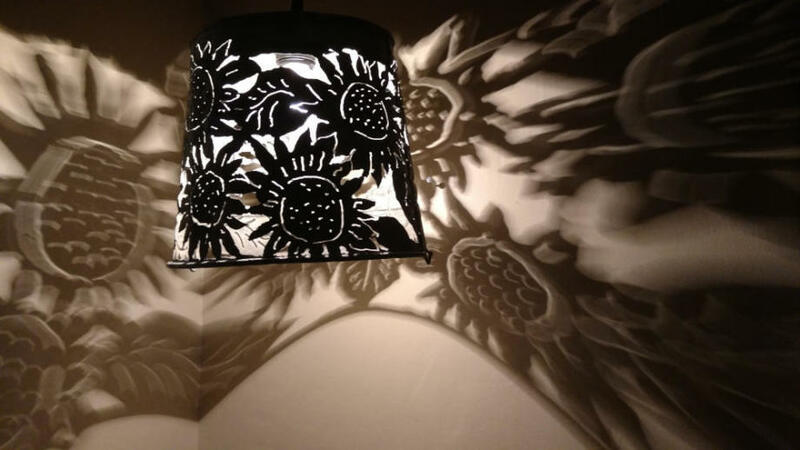 Snowflake design hand-cut into a galvanized maple syrup bucket and converted into a hanging lampshade.